Neither scenario of driving with a suspended or expired license is worth the risk. The first may seem harmless enough, but it often disguises pitfalls that you wouldn’t think of. It’s a black eye on your record and may support or lead to future indications that you are an ”habitual traffic offender”. If you have any other traffic offenses over a period of five years, you could end up one day opening your mailbox only to find a letter from the Highway Safety and Motor Vehicles Department informing you that your license will be permanently suspended, or suspended for an additional five years. At this point that lawyer will come in handy as you will have to appeal. Don’t bother, if you are OK living with the consequences. You have thirty days to ask for relief, but it is in your favor to act quickly. 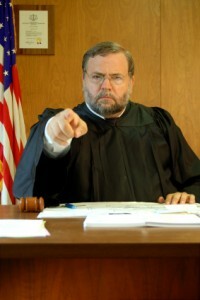 The courts want to see respect, and responding right away will show in your favor. Let’s say you’ve been ticketed once before with a suspended driving license and you are pulled over. You will automatically win a trip to jail. Because you are termed a chronic offender, the chances are your bond is going to be higher as well. It’s important to know that the offense of driving with a suspended license is cumulative. 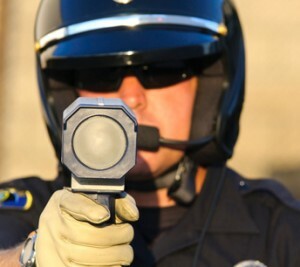 This means that any other driving tickets can lead all the way up to a third degree felony. Now you’re facing prison. Once you have a felony, you lose other rights that we won’t go into in this article, but surely the right to vote is suspended. Every state has different penalties for driving with a suspended driving license, but most are very similar. You can expect the to pay high fines and if a repeated offense – much higher fines. As I mentioned above expect some jail time if the offenses have accumulated. Note that in some states it’s not uncommon for a mandatory one-year prison sentence to be levied. You may have to pull community service time in lieu of jail, if you are seen as repentant and have a good attorney. Points are added which of course, means higher insurance premiums. You may still be eligiable for future suspension time or complete cancellation of your driver’s license. When the time comes when you are eligible for reinstatement, you will pay higher fees to get this accomplished. The risks of driving with a suspended license are huge. A quick trip to the grocery store with a glide through at a Stop sign can change you life forever. It’s not worth it. Stay within the Law.